Carolyn Martin 'Talking Art' with Sean Moeller. 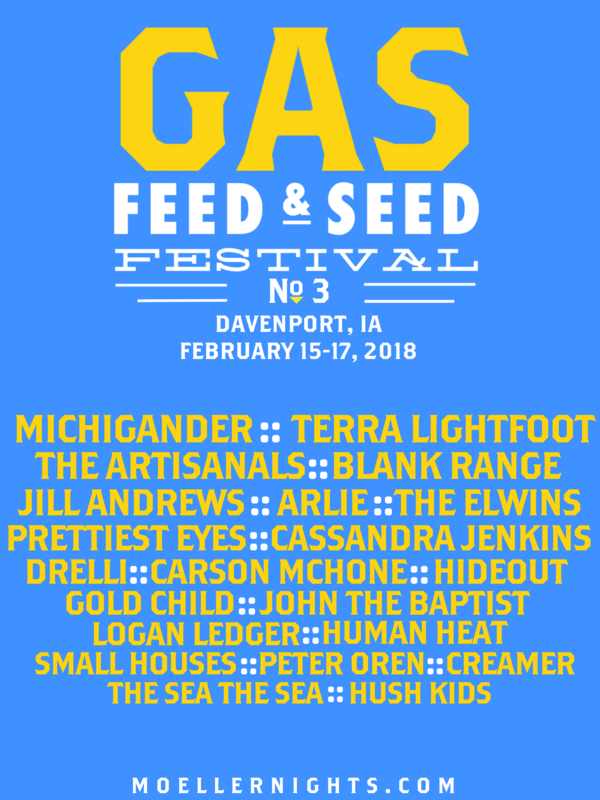 The second annual GAS Feed & Seed Festival will be held February 15-17 in Davenport, featuring 20 bands, playing in two locations over three fun-filled nights. Performances will be held at the Village Theatre at 2113 E. 11th Street, in the Village of East Davenport, as well as the Triple Crown Whiskey Bar & Raccoon Motel, located at 304 E. 3rd Street in downtown Davenport. 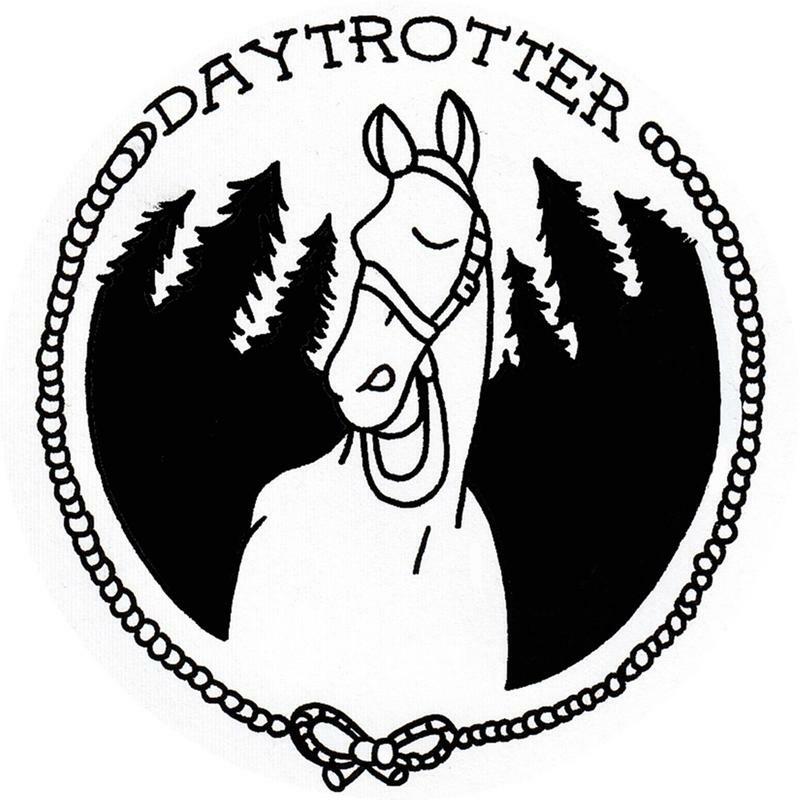 Listen to the conversation with the GAS Feed & Seed organizer, Sean Moeller, about the festival as well as his numerous additional musical endeavors, from his founding of Daytrotter in 2006, to his popular Moeller nights performances now held in Davenport, and concerts organized at the Codfish Hollow venue outside of Maquoketa, Iowa. Moeller is also one of the organizers of the upcoming TEDx conference being held at the Figge Art Museum on March 7. Additional information about the GAS Feed & Seed Festival, as well as a link to purchase tickets, can be found online. A farm to table dinner is organized for both festival goers and artists on Thursday night, February 15, for the first 100 individuals who purchase a “Golden gas” pass to the three-day event. Individual day, and two-day passes can be purchased as well. 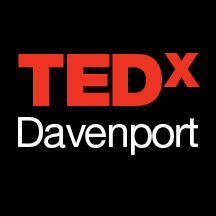 TED Talks is coming to the Quad Cities, as Benjamin Payne reports. The popular live lecture series “TED Talks” will make its way to Davenport this March, in the form of a day of educational talks at the Figge Art Museum.